The 24-70 L shown above is mounted to a Canon EOS 1D Mark III. mage quality is not the only pro-grade feature of the Canon EF 24-70mm f/2.8L USM Lens. Excellent AF is part of the equation. A Ring USM (Ultrasonic Motor) AF system delivers quiet, fast andaccurate autofocus. 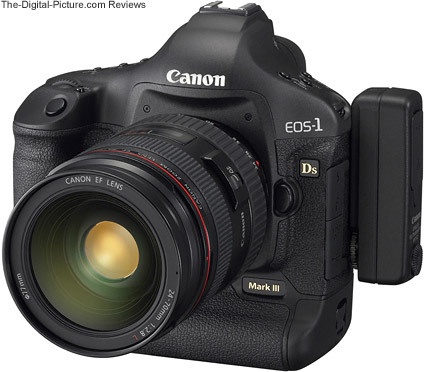 The 24-70 L's f/2.8 aperture enables the enhanced-sensitivity of many Canon EOS DSLR body's AF points. As usual for a Ring USM AF system, FTM (Full-Time Manual) focusing is enabled. The 24-70 L does not extend with focus and the 77mm filter ring does not rotate. hough not ultra-wide on a 1.6x FOVCF body, 24mm is noticeably wider than the 28mm minimum focal length provided by lenses such as the discontinued Canon 28-70 f/2.8L Lens and some of Canon's consumer zooms such as the Canon EF 28-135mm IS USM Lens (a good value lens). The real world uses for the Canon EF 24-70mm f/2.8L USM Lens are endless.